Kiddisafe pre-school playgroup is based on Linden Street, Evington (off Gedding Road). The Pre-School is a well resourced and family-centric pre-school, established and delivering professional quality care for over 10years. Kiddisafe Pre-school playgroup provides sessional care for children 2-4yrs. Registered to deliver care for 26 children per session. The session starts at 8.45am and finish at 11.45am (term time only), Mon-Fri.
FREE funded 15hours sessions available for children 2 & 3yrs. 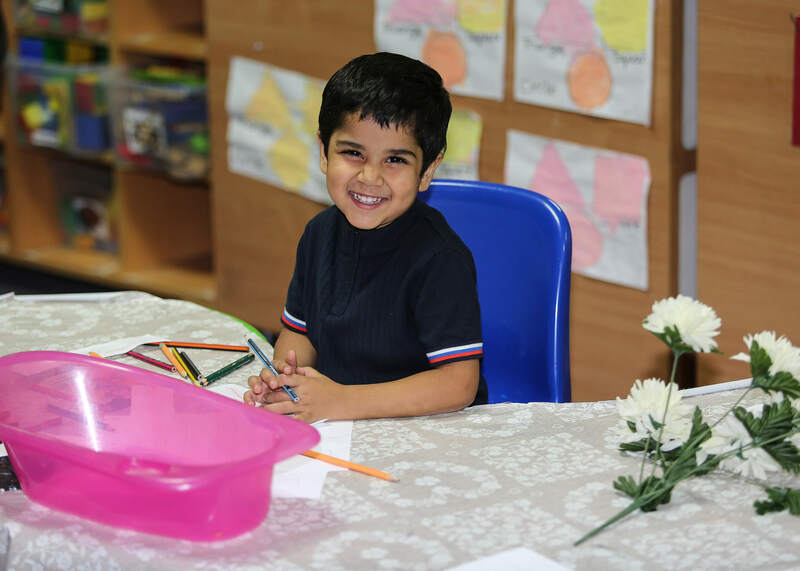 Our aim is to provide children with a home-away from-home environment that is also creative, imaginative and stimulating, where your child feels safe and secure. Kiddisafe Pre-School is managed by a BA Honours Early Years trained practitioner. All our staff are experienced and trained in educational settings. We all share a drive to offer structured, creative activities for our children to develop in all the Early Years area’s of learning. It is with our enthusiasm and passion that your child leaves our pre-school with, well-equipped with the tools of development and growth for their bright futures. We think creative development should be at the centre of a child’s learning. Everyday we strive to make your child’s natural curiosity, giving them the encouragement to explore their own interests with vibrant creativity and imagination. We offer experiences of both free play and supervised activity indoor and outdoor to meet the EYFS areas of learning. Please see our ‘ Curriculum’ page for further details. Excellent childcare is vital for you and for your child and at Kiddisafe we are dedicated in supporting and developing your child’s first solid foundation steps. Enabling them to grow and flourish, be happy, educated, independent, confident and equipped for their next big steps! At Kiddisafe we gain great satisfaction from the knowledge that we have given hundreds of children the best possible start in life.